The safe and correct fixing is vitally important for the perfect functioning and a long operational life of the DICTATOR gas springs. An inappropriate fixing means great danger to man and material! 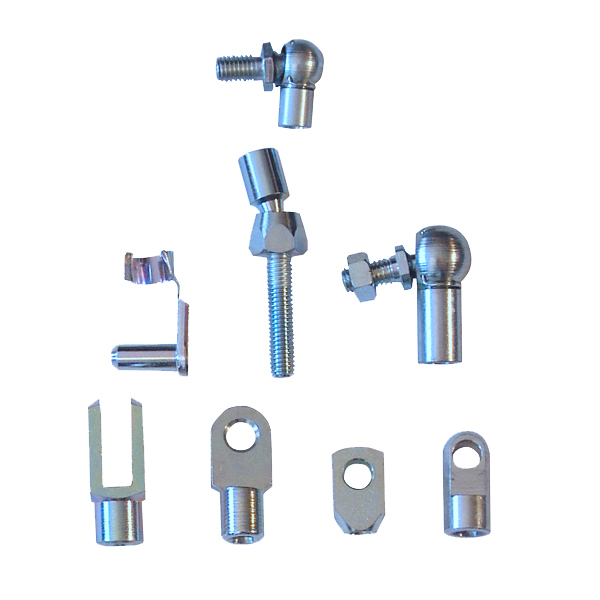 Depending on the installation place and position there are needed different end fittings and mounting brackets. But when deciding on the accessories you absolutely have to make sure to choose fittings that go with the force of the used gas spring. It is also important, both when choosing the end fittings and the mounting brackets as well as when mounting the gas spring, to make sure it is not fixed rigidly but that, without restrictions, the fixings allow the freedom of motion that is necessary for the desired function. If required, our technical service will gladly help you in choosing the appropriate accessories.